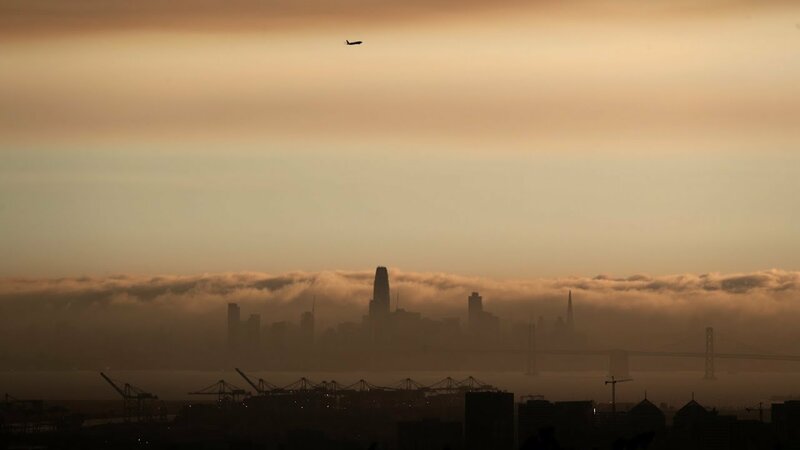 It has created dramatic images, as Bay Area residents woke up to smoke and ash over the weekend. "The sky is very dark, even in the middle of the day. It's a little scary," a Sausalito Shell station employee Sergio Garcia told the Associated Press, according to NPR. For residents of California's wine country, it is also bringing back memories of the fires that ravaged the area last fall. "A lot of friends and family were texting today and saying they were having some PTSD," Savannah Kirtlink told the Associated Press, according to NPR. So far the County Fire has forced 300 people from their homes and threatened 700 buildings, ABC News reported. It is only three percent contained and growing, according to NPR, fueled by dry weather and southwesterly wind. "We didn't really get a lot of rain this year, so the fields dried out quickly," Captain Mark Bailey told The New York Times. "A big fire like this in early July is the new normal for California." The County Fire isn't the only one raging in California. The nearby Pawnee Fire, which began a week before, is still burning, though CalFire told NPR it is 75 percent contained. Dry conditions in other Western states are also fueling flames. In Colorado, there are currently more than a half dozen fires which have forced 2,500 homes to be evacuated, ABC News reported. Most of the evacuations were due to a fire accidentally started by a Danish man named Jesper Joergensen. "We've never seen any fires like this. Ever," grocery store owner Felix Romero, whose business is a few miles south of the blaze, told The New York Times. "We're just afraid the fire will start heading south. If it does, we're in deep trouble." Firefighters have also been battling a blaze in Wyoming, near the Colorado border, since June 10, according to ABC News. It is about 80 percent contained. In Utah, a fire near Strawberry Reservoir, a popular fishing destination, has forced evacuations from seven to 10 summer cabins. And in New Mexico, a fire forced authorities to order the entire town of Cimarron, home to around 1,000 people, to evacuate in June, The New York Times reported. The National Interagency Fire Center said the Southwest could see some relief from fire-causing drought conditions in early July, as rain is expected. However, hot, windy weather is projected to maintain fire risk in parts of California, Utah, Idaho, Nevada, Oregon and Washington through the end of the month, ABC News reported.